A nonionic water-dispersible surfactant for lipid-based formulations to solubilize and increase oral bioavailability of poorly water-soluble APIs. Self-emulsifies in aqueous media forming a fine dispersion, i.e., microemulsion (SMEDDS). 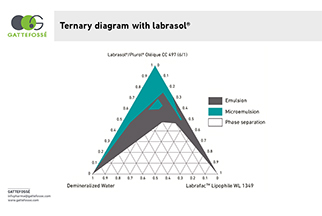 Single excipient formulation system: self-emulsifies in aqueous fluid into microemulsion—LFCS Type III (SMEDDS). High purity guaranteed for stability and capsule compatibility. 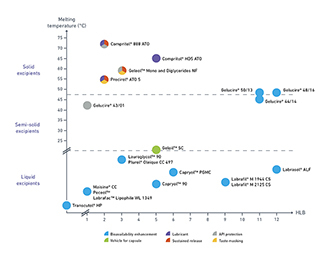 Safety of use is inferred by extensive toxicological data and precedence of use in approved pharmaceutical products.